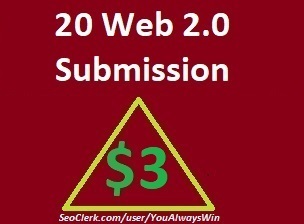 iI will submit your URL 20 web 2.0 websites and get rank higher on search engines. Currently, we accept only one URL with your Keywords for basic service. If you have more than one link then please buy multiple services or check extras.